Exiled former Minister of Youth Patrick Zhuwawo has warned President Emmerson Mnangagwa that ZANU PF legislators are plotting to impeach him. Writing in his Zhuwawo Brief on Monday Zhuwawo said, "You already know that most of the ZANU PF legislatures are itching to impeach you as you correctly observed on Wednesday 30 May 2018. The mass action is spurring them on to save the nation and their constituents from further suffering and to also protect their jobs." Zhuwawo said Mnangagwa has failed to uphold the constitution and those are the grounds that will be used to impeach him. "Grounds for your impeachment in terms of Section 97(1) of the Constitution of Zimbabwe for (a) serious misconduct , (b) failure to obey, uphold and defend the constitution ,and (c) willful violation of the constitution are being prepared." Zhuwawo further urged Mnangagwa to follow the example of former President Robert Mugabe and accept his fate to save the lives of Zimbabweans. "As your impeachment looms, it is in your best interest that you accept it and contain your die hard sycophants from engaging in conduct that will be attributed to you in both local courts and International courts of justice. "You must take a leaf from President Mugabe who chose to save lives by accepting your treachery in November 2017.The nation need to move forward with dialogue to institute necessary reforms and restore legitimacy as the basis for resolving the economic crisis." Last year there were reports that Vice President Constantino Dominic Nyikadzino Chiwenga is plotting with ZANU PF officials and members of parliament to impeach President Emmerson Mnangagwa soon after elections. 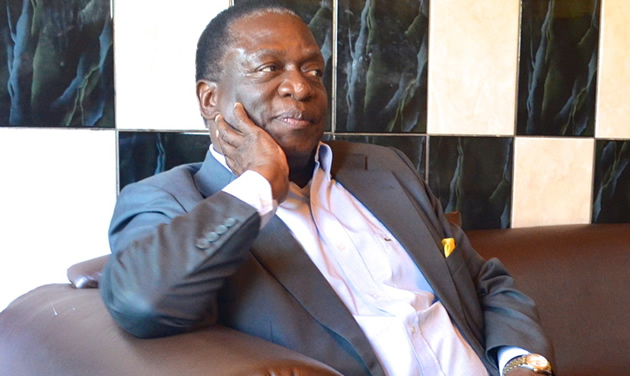 During the harmonized elections campaign President Mnangagwa warned ZANU PF members for plotting to impeach him and told them that he has all the information of their plots. Zhuwawo is in exile after fleeing the bloody the coup that ended Robert Mugabe's 37 years of rule.